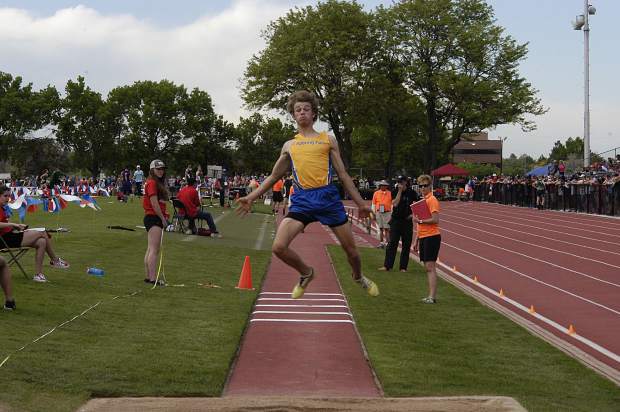 Roaring Fork senior Justin Thompson leaps through the air during Thursday's 3A triple jump at JeffCo Stadium in Lakewood. 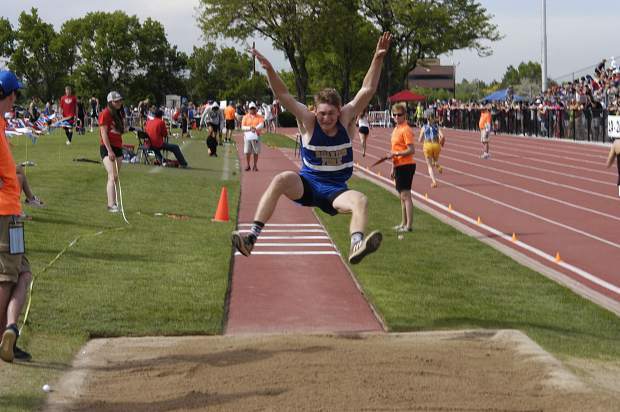 Roaring Fork senior Jasper Germain takes off in the 3A triple jump Thursday at JeffCo Stadium. Coal Ridge freshman Marin Simons attemps to clear the bar during the 3A high jump Thursday at JeffCo Stadium. 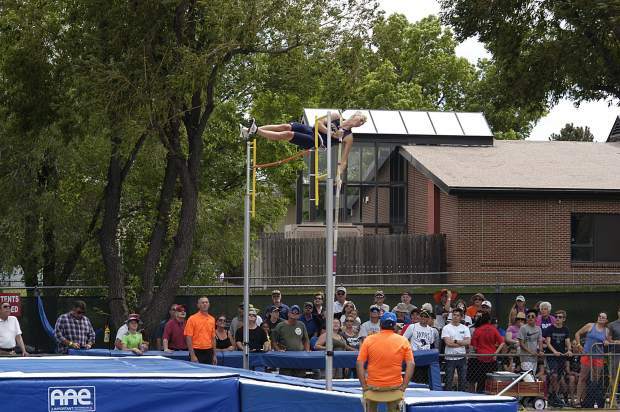 Rifle senior Riley Ellsworth clears the bar during the 3A pole vault competition at JeffCo Stadium. Rifle junior Joel Lopez closes in on the final hurdle during Thursday's 3A 110m hurdles preliminary race at JeffCo Stadium. 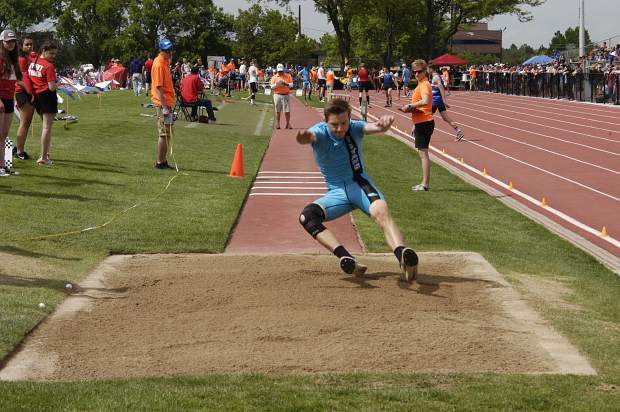 Coal Ridge senior Billet Porter lands into the sand during Thursday's 3A triple jump at JeffCo Stadium. Roaring Fork seniors Justin Thompson and Jasper Germain stand 1-2 on the podium for the 3A triple jump state championship. Thompson set a new personal mark, jumping 45-11.75 feet, while Germain also set a new personal mark with a distance of 45-4.50. 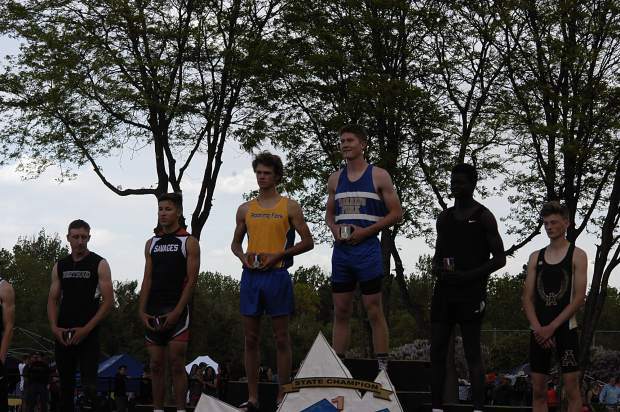 Thompson claimed the state championship in the 3A triple jump, thanks to a personal record mark of 45 feet, 11.75 inches, while Germain came in right behind Thompson in second with a personal record of his own at 45-4.00, claiming the top two spots on the podium for the Roaring Fork Rams. 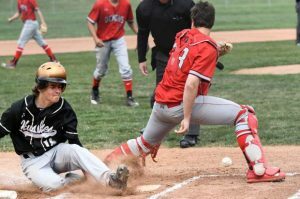 The duo has pushed each other all spring long to better each other, and that hard work paid off Wednesday at JeffCo Stadium. Germain, who just picked up the triple jump this spring, competed in just his fourth triple jump competition of the year. 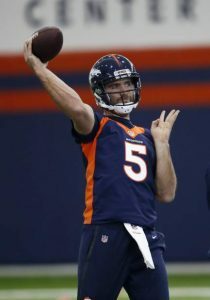 In each one, he’s set a new personal record, surpassing his previous one by nearly one foot each time. Prior to placing first and second in the triple jump, the pair of Ram athletes had to first qualify for the 3A 110m hurdles. 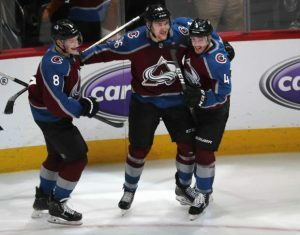 They did just that, as Germain placed second in heat two, clocking a personal best time of 14.93 seconds, while Thompson placed second in the heat three with a time of 14.72 seconds. Both clinched a spot in the 110m hurdles final on Saturday, as did Rifle junior Joel Lopez, who clocked a time of 15.71 seconds. 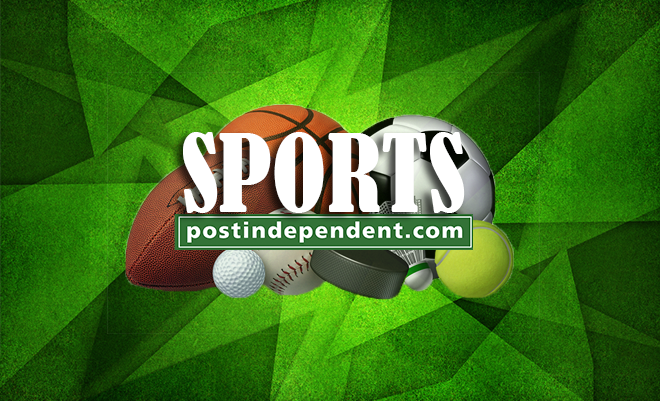 Coal Ridge senior Dylan Allen missed qualifying for the 110m hurdles final by mere tenths of a second, but the senior will look to qualify for the final in the 300m hurdles on Friday. Aside from Roaring Fork’s impressive duo, Rifle senior distance runner Sarah Wagler got off to a great start in her final 3A state championships meet, placing second in the 3200m run with a time of 11:34.90, finishing behind Frontier Academy’s Hannah Ellis. 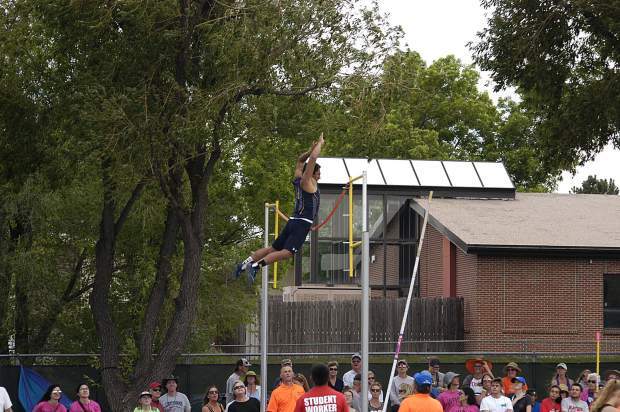 The Rifle Bears saw seniors pole vaulters Riley Ellsworth and Brian De La Rosa finish fourth and fifth in the 3A pole vault. Ellsworth cleared a height of 13-0.00 feet, while De La Rosa set a personal record with a height of 12-06.00, claiming a podium spot for the Bears. Rifle also saw its girls 800 sprint medley relay team clinch a spot in the event’s final, while setting a new school record in the process. The Rifle relay team of junior Halie Holmes, sophomore Hope Kehr, freshman Mackenzie Elizardo, and sophomore Delaney Phillips clocked a time of 1:51.95, breaking the previous school record of 1:52.14, set in 2007. In other relay events on the day in 3A, the Coal Ridge Titan’s 4x200m relay team of senior Emily Wright, senior Jaycelyn Kreuger, junior Kara Morgan, and senior Santana Martinez placed second in their heat with a time of 1:47.78, while the Titans’ 800 sprint medley team of Morgan, Wright, Kreuger, and Martinez placed second in their heat, clocking a time of 1:51.25, narrowly finishing behind the standout Grand Valley Cardinals’ 800 sprint medley team of freshman Alex Mendoza, sophomore Ryley Sackett, junior Shaya Chenoweth, and sophomore Jordyn Pittman, which clocked a time of 1:51.36 in the preliminary races. The Titans’ boys 4x200m relay team claimed one of the last remaining spots in the final, qualifying in eighth place, as senior Brandon Herrera, senior Ezequiel Contreras, senior Jacx Power, and freshman Moises Contreras clocked a time of 1:32.10 in preliminaries. Coal Ridge saw Power and freshman Marin Simons reach the podium in field events, as Power placed fourth in the 3A discus, recording a distance of 147-04, while Simons — at her first state meet — placed sixth in the 3A high jump, clearing a height of 5-0.00. Roaring Fork senior Spencer Ochko placed seventh in the 3A discus with a distance of 140-03. 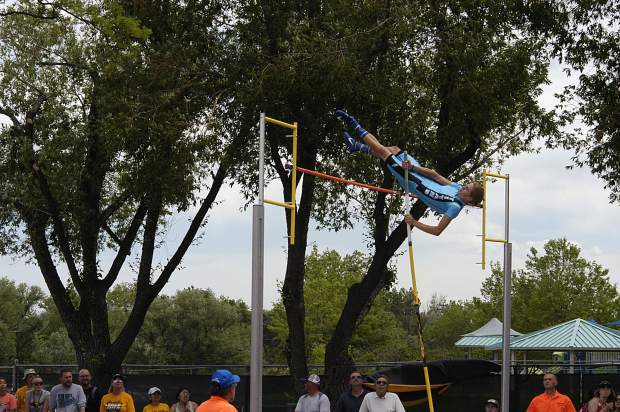 Titan sophomore pole vaulter Hitch Young finished 12th in the 3A pole vault, clearing a height of 12-0.00 feet, while senior Billet Porter placed 14th in the 3A triple jump with a distance of 41-05.75 feet. Ezequiel Contreras came up short in the 100m dash preliminaries for the Titans, clocking a time of 11.36 seconds, placing 14th in preliminary times. Wrapping things up in 3A events, Rifle’s Phillips and Grand Valley’s Chenoweth missed qualifying for the 100m dash finals with times of 12.81 and 12.60, while Grand Valley’s Pittman and Rifle’s Phillips missed qualifying for the 200m finals after clocking times of 26.23, and 26.42 seconds. In 4A action to open the day, the Glenwood Springs Demons’ girls 100m hurdles tandem of senior Ginny Bergstrom and junior Sequoia Kellogg clocked impressive times, as Bergstrom qualified for the finals with a time of 15.23 seconds, but Kellogg missed out on the finals after clocking a time 15.93 seconds, missing the qualification cutoff by just 22 one-hundredths of a second in a loaded 100m hurdle field. The Demons’ 4x200m boys relay team of junior Wyatt Ewer, senior AJ Crowley, junior Gavin Olson, and senior Aaron Smith placed 13th in preliminary qualifying with a time of 1:31.67, missing final qualifying by just over one second, while the Demon girls’ 4x200m relay team of senior Morgan Hollenback, senior Saylor Warren, freshman Sophia Vigil, and Bergstrom placed 10th in preliminaries with a time of 1:46.46, missing final qualifying as well. 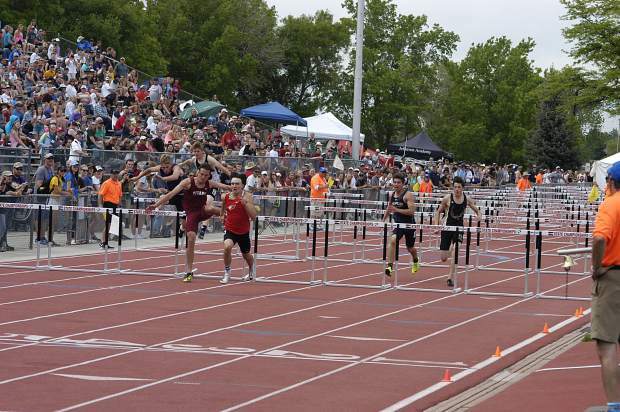 In the 110m hurdles, Crowley qualified with a time of 15.03 seconds after finishing third in his heat, but senior Bryce Risner missed qualifying for the finals after clocking a time of 15.39 seconds. Risner finished fourth in his heat, but dropped all the way to 14th in a loaded field despite running a blistering time. Olson qualified for the 400m finals for the Demons after turning in a time of 50.09 seconds in preliminaries, putting him in the eighth spot for the finals, while the junior pulled out of the 200m preliminaries to rest up for final events later in the weekend. 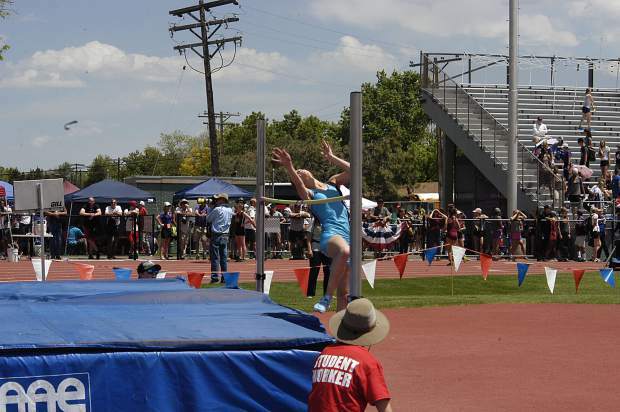 Ewer placed 13th in the 4A triple jump, recording a distance of 41-02.75 feet, while Kellogg placed 13th in the 4A triple jump for the girls, jumping a distance of 33-06.50 feet. Day 2 of the state championships will start off with the 4A girls 3200m run, as well as the 3A girls pole vault.